Thousands of people flocked to Lincoln Castle for the annual 1,000 Years of Traditional Crafts event. The event took place on Saturday 31 May to Sunday 1 June, from 10am till 6pm. It hosted more than fifty traditional craftspeople, sharing their skills and knowledge, from blacksmithing, using a pole-lathe and willow weaving to stonemasonry, jewellery-making and silversmithing. More than 1,600 people came through the gates, strolled around the special demonstration areas and had a go themselves at some of the crafts on display. Event sponsor Robert Woodhead Ltd is currently in the fourth phase of the £19.9m Lincoln Castle Revealed project. The company’s conservation team Woodhead Heritage has been responsible for the ambitious restoration of the medieval castle, as well as the Victorian prison buildings. • installing a lift to the walls that will enable disabled visitors to access the wall walk. As part of the activities, 600 visitors took part in 26 behind-the-scenes tours of the conservation work at Lincoln Castle. Staff from the specialist conservation team at Woodhead Heritage were on hand to show people around the work, as well as share the traditional skills and techniques used in the castle’s restoration. This included stonemasonry, joinery demonstrated by Jericho Joinery, and lead work demonstrated by Martin Brooks Roofing, all of which have been part of the project. 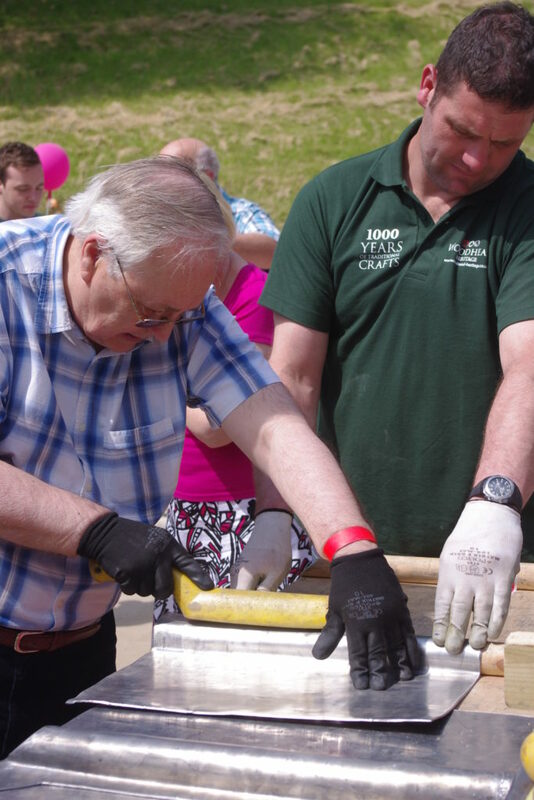 Councillor Nick Worth, Executive Member for Culture and Heritage, said: “It was wonderful to see again how many people enjoy visiting the castle grounds, especially during an event such as the 1,000 Years of Traditional Crafts.